On Monday, he saw an estimated 700,000 warblers and set the birding world all atwitter with a posting on the site eBird describing the astonishing event. He may one day top it, because he is 26. But he has a good deal of experience to look back on already. In 14 years of dedicated birding, he has been to 35 countries, and is the project director of eBird, a citizen science project for gathering data from the worldwide community of birders, who contribute data on about 100 million sightings a year. He and his fellow birders were at the Tadoussac bird observatory in Quebec, on the north bank of the St. Lawrence River. Pascal Côté, the director of the observatory who has been monitoring birds there for 10 years, said “I have never seen anything like this.” His group, at a different location in the same area, saw 200,000 birds in what was only one part of a miles-wide corridor. He said he thought the total was probably closer to 500,000, but could be higher. It was, in any case, ten times as many as he had ever seen in a day, and, he thought, the most passerines, or perching birds, ever seen in one day in North America. Mr. Davies’ method for counting was to calculate the rate of passage of birds across an imaginary line at different points through the day for a few seconds and extrapolate. Mr. Côté’s team counted birds at their spot with a different approach, trying to tally the actual numbers, not one by one, but in blocks. An observer might count out 10 or 50 or 100. “As far as we’re aware,” he said, “it’s three times the number of warblers that anyone has ever seen at a location anywhere. It was basically a river of warblers. All heading southwest.” The previous record was 200,000. 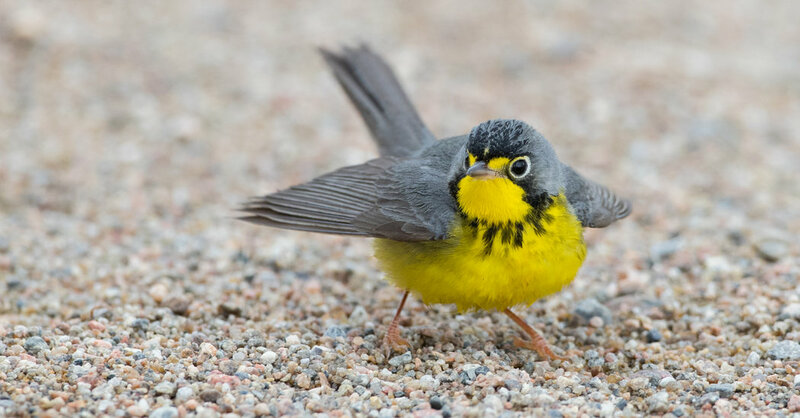 These are northward migrating birds, but frequently at Tadoussac, there is a huge morning flight of warblers who have overshot the mark or have been blown off course and are heading back to known food sources before continuing on. The morning started off quiet, he said, and then the birds just kept coming. They did not quite darken the sky as passenger pigeons once did. But the group was stunned because they kept coming for nine hours. There were more than 100,000 each of Cape May Warblers, Bay Breasted warblers and Tennessee warblers. The reason for the large number, Mr. Davies speculated, was that these are birds that eat the larvae of the spruce budworm, and their populations explode when the budworm numbers go up. A picture caption in an earlier version of this article misstated the name of a bird. It is a Canada warbler, not a Cape May warbler. January 30, 2019 Comments Off on Will the US and China finally agree a trade deal?